The Internet in Cuba: Does Cuba trust the US (and Google)? Does Cuba trust the US (and Google)? Will mistrust stop Google and other US Internet companies in Cuba? I've written posts speculating on what Google might do in Cuba and on the possibility of their providing Internet access, but have received consistent "no comment" from Google, so a recent Havana Times report that Cuba had turned down an offer of WiFi connectivity from Google caught my eye. The Havana Times post was based on an interview of the second secretary of the Cuban Communist Party, Jose Ramon Machado Ventura, but he does not mention Google or an offer of connectivity from them in the interview. He speaks instead of the intent of imperialists to use the Internet as a way to destroy the Revolution. That has been the party line for years. Left trolls say the fear is realistic, citing the Helms-Burton Act, which has been used to justify various covert Internet initiatives to assist "the Cuban people in regaining their freedom." Right trolls answer that the Cuban government is only interested in enriching the Castros and their friends. I've no idea what Google has offered Cuba, but it seems that trust is central to this discussion -- does the Cuban government trust Google or see them as a tool of the US government? Google's advances toward Cuba have been made by their in-house "think/do tank" Google Ideas, which "builds products to support free expression and access to information for people who need it most — those facing violence and harassment." Google Ideas is headed by Jared Cohen who, before coming to Google, was a member of the Secretary of State's Policy Planning Staff and served as an advisor to Condoleezza Rice and later Hillary Clinton. A couple years ago, Julian Assange of Wikileaks published documentation of Cohen's activity, branding him "Google’s director of regime change." A Cuban pro-government blog publicized Assange's work saying Google was doing what the CIA and NSA could not and channeling the State Department in Silicon Valley. 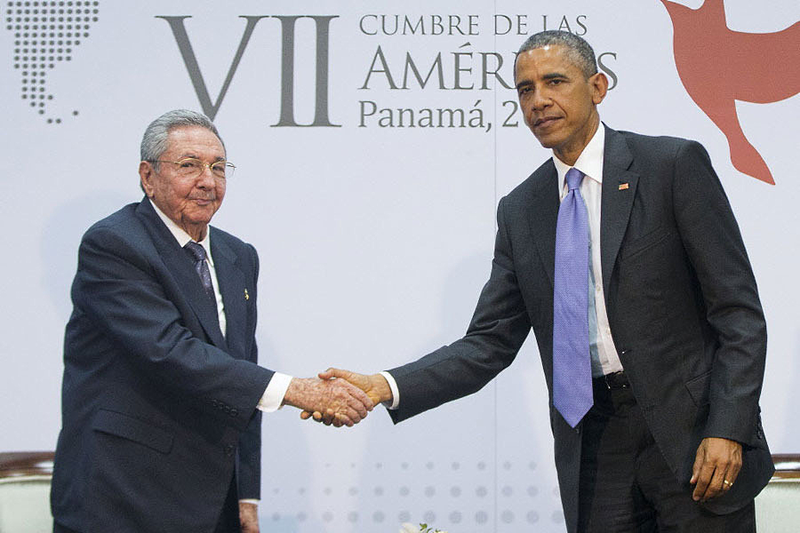 (Note the irony of the Cuban government pointing to documents uncovered by Wikileaks)! Will mistrust stop Google and other US Internet companies in Cuba? Has the mistrust begun to thaw? Diplomatic relations are resuming and Raúl Castro, who opposed the Internet at its beginning, says Cuba and the United States are entering a new era. Mr. Machado's remarks suggest that we may have to wait till regime change occurs (without Google's help) in 2018. President Obama has stated that "On Cuba, we are not in the business of regime change." In spite of that, Gustavo Machin, deputy director for U.S. affairs in the Cuban Foreign Ministry, told reporters that he saw no evidence of practical change, citing the multimillion-dollar 2016 US budged request for Cuban democracy programs. Regardless of one's opinion of the stated goals and the innefectiveness of such programs, the government of Cuba sees democracy promotion programs as regime change efforts. I don't know whether their expressed fear of such projects is genuine or propaganda, but either way, they undermine trust in US Internet companies. In a recent blog post, Circles Robinson askes whether the Cuban people (as oppossed to the government) trust the United States, condluding that "In asking around for opinions we found that in general there appears to be little mistrust of ulterior motives and most people are happy with the change. Likewise Obama seems quite popular." This is of course annecdotal and probably limited to Havana, but it does not seem unreasonable. The Wall Street Journal has published an article surveying the collaboration between the Obama administration and Google on efforts to improve Cuban Internet access.